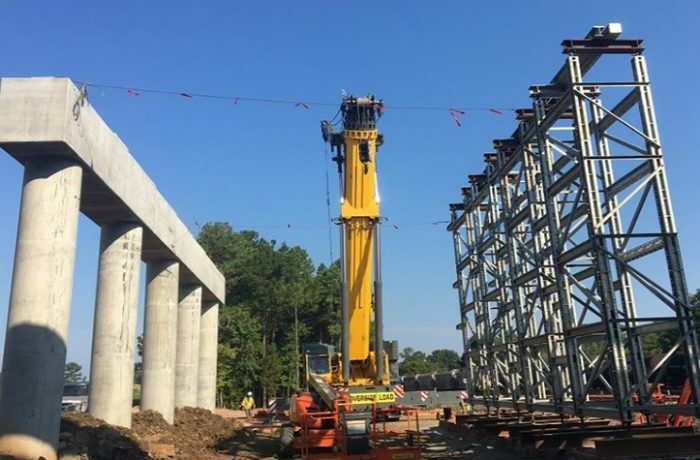 The purpose of the Durham East End Connector project (NCDOT U-0071) is to provide a direct connection between the Durham Freeway (NC 147) and Miami Boulevard (US 70) while improving access to I-85 and I-40. To facilitate this connection, a temporary railroad bridge is being built to serve rail carriers while the original is demolished/reconstructed. Our team, working for Norfolk Southern (NS), reviewed track work and bridge plans for the temporary railroad underpass structure, the replacement of the underpass bridge as well as the highway bridge over the NS rail yard. 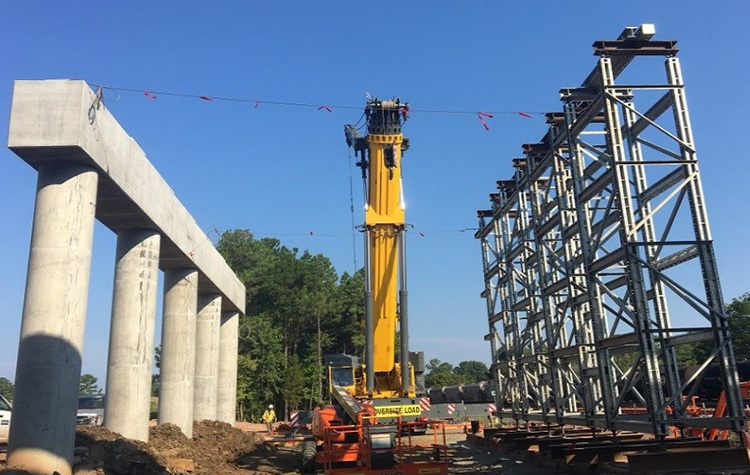 TGS is currently performing CEI services on this portion of the $142M project, which includes 2.75 miles of US 70; 2 miles of NC 147; 1.25 miles of new East End Connector; 16 bridges; 4 culverts and 4 rehabilitated bridges. Project completion is anticipated in early 2020.